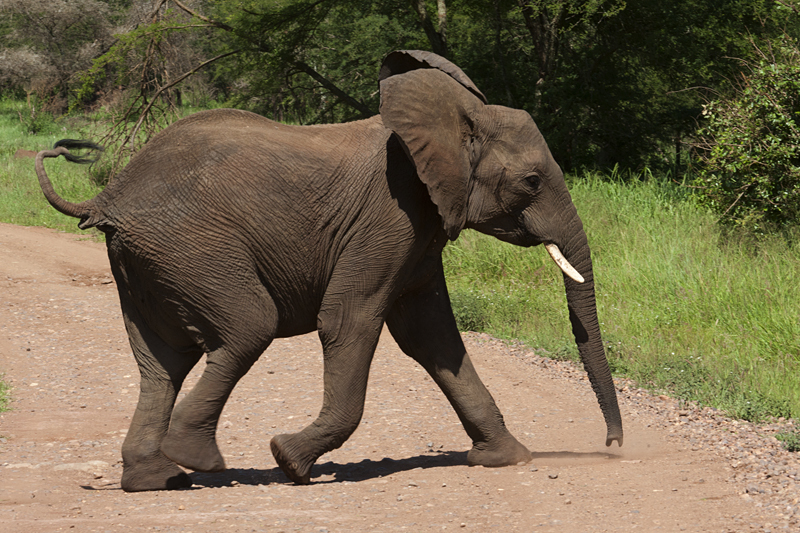 Our previous edition on the fantastic sighting of the African Elephant herd in the Serengeti national park ended with the juvenile bulls in the herd mock charging the jeeps, leaving us wondering as to why the hitherto calm herd had suddenly got spooked. All the jeeps immediately started their engines and moved ahead on the road leaving the herd behind. We were the last ones to reluctantly leave the scene. 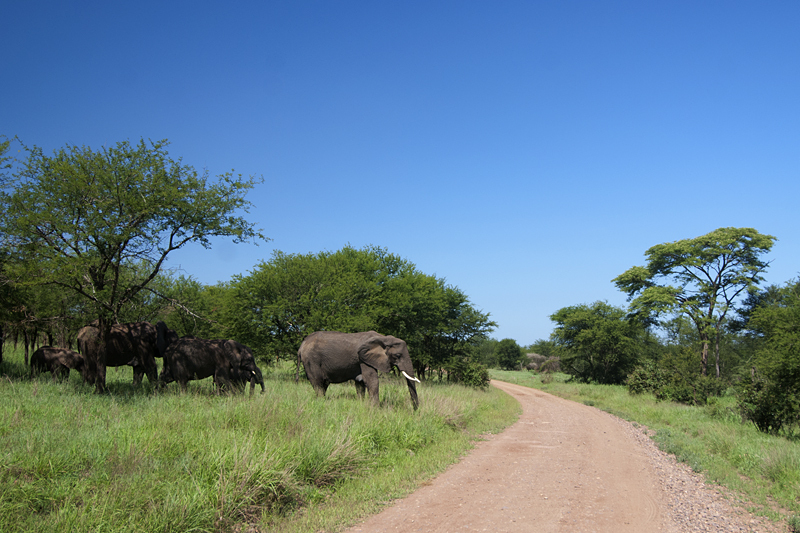 We hadn’t moved more that 50 meters when we saw the herd group up behind the matriarch by the roadside. 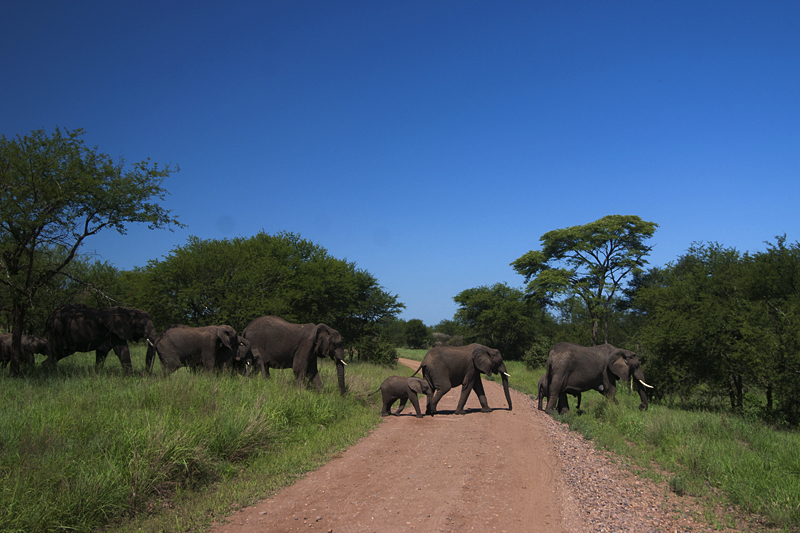 The matriarch stepped forward closer to the road to check whether the coast is clear or not and that’s when it dawned on us that the herd got excited because they wanted to cross the road and we were in their way. 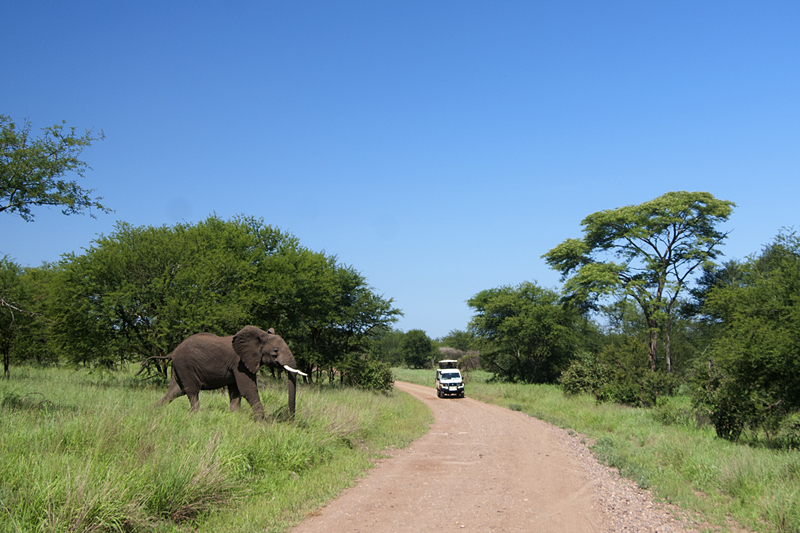 The trumpeting and mock charging was to get us to clear the road so that they can cross over! Now that the road was clear of all the jeeps, the matriarch crossed the road and the disciplined herd followed suit except for the juvenile bulls. The brats stayed on this side of the road till the entire herd had crossed over and disappeared on the other side. Unfortunately for them one vehicle was coming up in the distance and they realized that playtime is up and hurriedly zipped across the road! Like I mentioned, we were the last vehicle to leave the scene and hence had a clear view of the crossing and we made good the opportunity to photograph the herd. 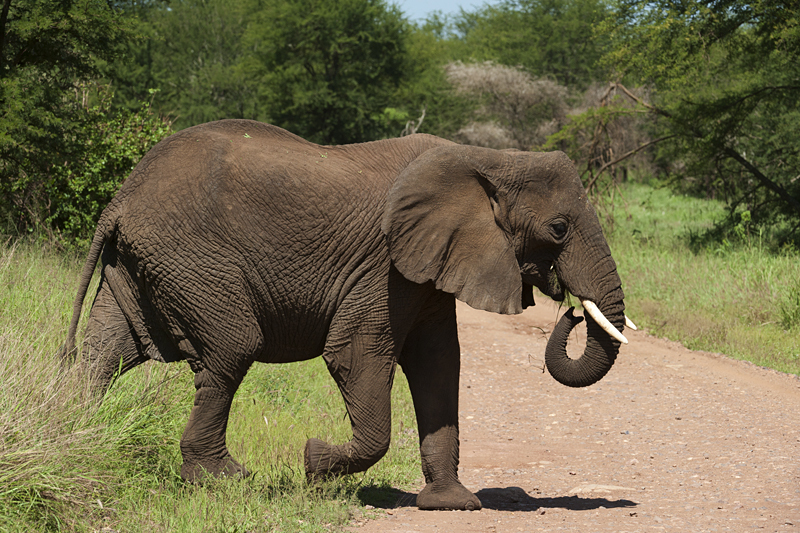 Elephants are fantastic animals although their sheer size can really be scary. Superb photographs of this exciting encounter. Lucky you! makes their & your lives much more exciting, eh? 🙂 nice captures. Visual treat beyond words !! !